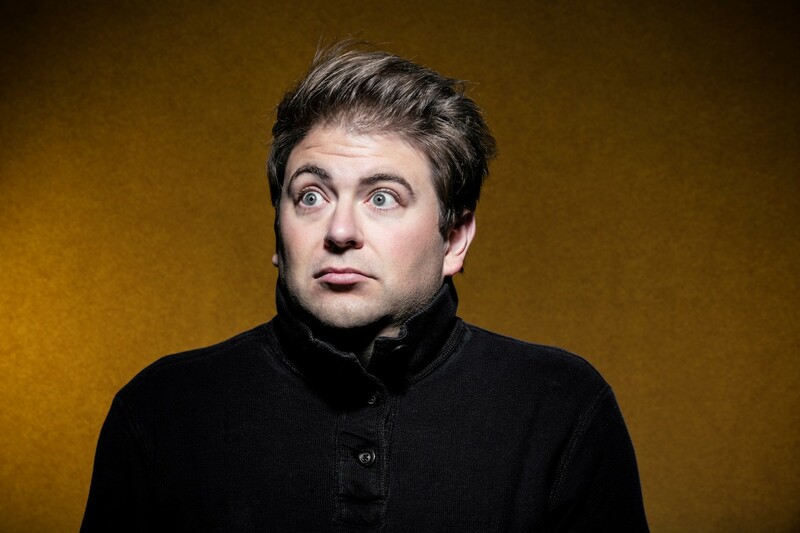 Minnesota audiences get to see Craig Colclough again this season – in only a few days! 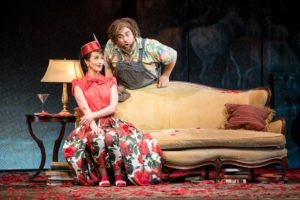 This time it’s in an opera you’re probably familiar with: Donizetti’s perennial favorite Don Pasquale. (Craig’s last performance with the Minnesota Opera was in Diana’s Garden last season). Despite his busy schedule, Craig was able to take some time to answer a few of our questions. Tell us a bit about your first operatic memory. What did you see (or hear)? How did it affect you? The first opera I ever saw was in Budapest when I was 15. I am from Los Angeles, but I was in Hungary on a church work project. It was beautiful, but the opera was a “park and bark” sung in German with Hungarian supertitles, so I was pretty lost. It was not a moment that clued me into my future passion of this immensely diverse art form. 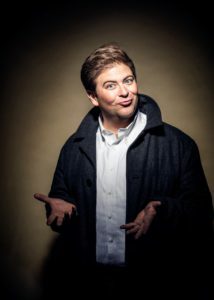 Very soon you will be performing the title role in Minnesota Opera’s production of Don Pasquale. Tell us a bit about this particular production. It’s not a traditional setting for the work, is it? The line between modern adaptations that work and those that don’t is drawn by whether the new setting compliments and heightens the characters’ motivations and relationships. This ingenious setting by Chuck Hudson does exactly that. We as a modern American audience do not easily relate to tensions between nobility and commoners or the inheritance politics that inspired the arranged marriages of Pasquale’s time. Still, the plot requires an eccentric patriarch with an old-world view being pitted against the young lovers who wish to defy convention and marry for love’s sake. This necessity inspired Chuck’s Don Pasquale to become not a titled, eccentric recluse, clinging to the bygone days of his successful black and white film career. Norina, the dishonorable young widow, then becomes an up-and-coming talking film actress. The “old” versus the “new” is brought to the forefront and the Hollywood vessel gives us immediate cultural access to the conflict that makes the show so hilarious. I had the great fortune to watch you perform last season in Minnesota Opera’s production of Diana’s Garden, a rarely performed work. I’m curious as to how this season’s production of Don Pasquale differs from or is similar to previous work you’ve done with Minnesota Opera. The primary difference for me is that I’ve done this production of Pasquale before. I trust it and I know where each beat is. Diana’s Garden has such a limited recording history and seeing as the show was entirely new to us, it was a journey of constant discovery. Diana’s Garden was much more akin to a premier, as we were, for ourselves and most of the audience, originating the characters. In April of 2018, you’ll be performing in an opera I am unfamiliar with: Erich Wolfgang Korngold’s The Ring of Polykrates. Have you been in this opera before? How does performing a lesser-known work compare with performing more well-known operas? I’ve only been working professionally for nine years and there is such an expansive catalogue of operas. Honestly, many of the classics are still new to me from season to season. The main difference is a lack of study resources. The classics have easily available translations and recordings, while lesser know works often require that we do much more of the legwork in the learning process. Music communicates in the abstract and in that has the power to communicate far more complex thoughts and feelings than our spoken language alone. I wish we had the intellectual speed to sing all of our communications to one another. You’ve performed Falstaff, Scarpia, and Figaro. They’re totally different from one another, but which role do you enjoy performing the most? Falstaff by far! 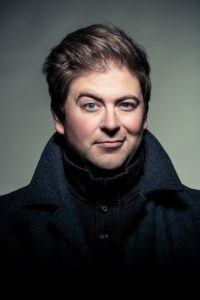 Figaro, while the title character and well-featured, has many of the opera’s most difficult sections yielding little reward. I also find Figaro a touch dull. Scarpia is so fun to portray and has some of the lushest music, but Act II is vocally brutal. It is not the healthiest music to sing. Falstaff, however, is the pinnacle of characterization, libretto, composition, and vocal health. Symbolically, comically, and philosophically, Falstaff is the ultimate partnership with my body and mind. As an opera singer, you travel all over the world, often for extended periods of time. That said, where is “home”? Well, I’d love to live in London, and my wife and kids have probably enjoyed Greece the most thus far. But home is and always will be Claremont, California, where I was born and raised, married my high school sweet heart, and where my parents live still. What engagement are you most looking forward to this season? I wish I could travel with Chuck Hudson’s Pasquale all year round. But second to that I’d have to say I’m looking forward to my Royal Opera debut covering Bryn Terfel again as Falstaff and playing Pistola. Do you have any pre- or post-performance rituals?